A triplex penthouse atop a new condominium conversion on the Upper East Side, just a block from Central Park, with three terraces and a private roof deck, sold for $31,000,000 and was the most expensive closed sale of the week, according to city records. The sponsor apartment, PH3, at 33 East 74th Street, at Madison Avenue, has 6,312 square feet of space that includes five bedrooms, five and a half baths, an eat-in kitchen with two pantries, a family room, two dining areas and a 30-by-18-foot living room that opens to a terrace. There is also a private elevator. The total monthly carrying charges are $20,471; the asking price was $32 million. Most of the home’s bedrooms, along with a laundry room, are on the first floor. The 760-square-foot master suite features a walk-in closet and a spalike bath. The second floor holds the kitchen, the formal dining room and the living room, while the third level, with two terraces, contains a second dining area, a kitchenette, a family room and an en-suite bedroom. The outdoor space totals 2,287 square feet, according to the listing with Douglas Elliman Real Estate. Katherine Gauthier was the listing agent, and Janet Wang of the Corcoran Group brought the buyer, whose identity was shielded by the limited liability company Crest East 74. The condominium at 33 East 74th is a conversion of 19th-century brownstones once owned by the Whitney Museum of American Art. It actually encompasses buildings on Madison Avenue, but is being marketed with a side street address to present more of a residential context. The project was developed by the health care entrepreneur Daniel E. Straus, using an affiliate company, JZS Madison LLC. Among the other big-ticket transactions, three more near-identical apartments at432 Park Avenue, currently the tallest residential tower in the Western Hemisphere, topping out at 1,396 feet, have officially closed. The priciest of the trio, on the 58th floor, unit No. 58C, sold for $17,287,537.59, according to city records, and was this week’s runner-up sale. Its buyer, represented by Ellen Elman of Century 21 Metropolitan, was identified as Hampstead Properties, with Larisa Egorchenko listed in city documents as the president. Unit No. 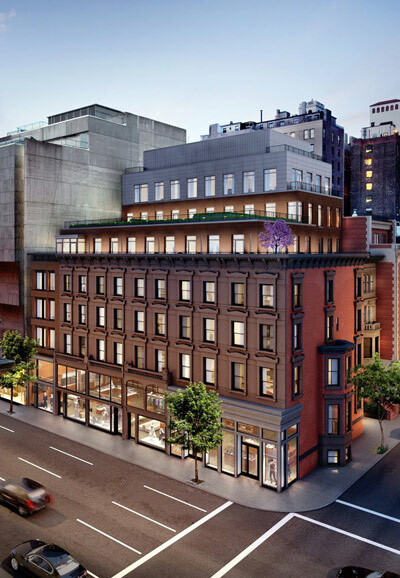 51C, which closed at $16,218,375.09, according to records, was sold to Pearl 51 Ltd., with Sule Haskell of Douglas Elliman Real Estate representing the buyer. No. 57C, with no buyer’s broker, sold for $13,715,516.59, to the limited liability company JE Manhattan. Each of the sponsor units measures 3,576 square feet and contains two bedrooms, three and a half baths and a library. They all have private elevator landings. And like all of the 104 residences in the 96-story condominium, between 56th and 57th Streets amid “Billionaires’ Row,” these recently closed aeries have 12.6-foot ceilings and 10-by-10-foot square windows, which provide an abundance of light and park, river and cityscape views. The monthly carrying charges for each apartment total $14,224, according to a spokesman for Douglas Elliman Development Marketing, which is handling sales for the building, along with Macklowe Property Sales. The supertall 432 Park Avenue, which was completed last year, was designed by Rafael Viñoly Architects and developed by Macklowe Properties and the CIM Group. Big Ticket includes closed sales from the previous week, ending Wednesday.